The Delhi High Court has directed the Union Ministry of Environment, Forest and Climate Change to give time-bound deadlines of their strategy for dealing with e-waste. The ministry has been given two months to come out with an action plan to create inventorisation of electrical and electronic equipments waste, known as e-waste and to explain how it is being disposed of in the country. The bench of acting Chief Justice Gita Mittal and Justice C Hari Shankar passed this order Tuesday on the basis of findings of a report submitted by Centre for Science and Environment’s director general Sunita Narain. The court said the ministry must look into the report and come out with an action plan on how inventory will be created. The court also asked the ministry to inform how e-waste is being disposed of in the country. The report said that the lack of data on e-waste generation across the country, not just in Delhi, creates a major block in tackling it. However, a few independent studies suggested that about 2 million tonne of e-waste is generated per annum in India. 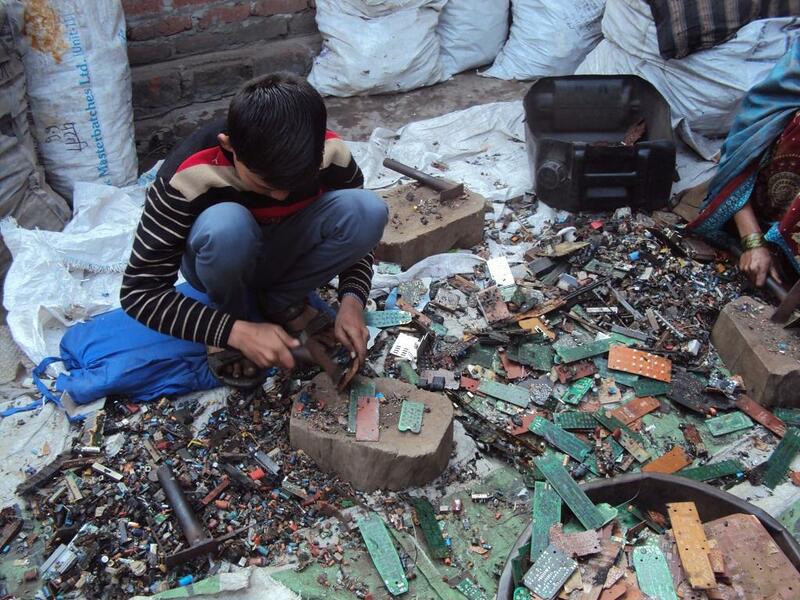 The report also said that although the Union government has banned the import of e-waste for disposal and has not given any permission in the last five years for the import for re-cycling as per Hazardous and Other Wastes (Management and Transboundary Movement) Rules, 2016, it allows the import of second-hand electrical and electronic equipments for refurbishing. This is where the problem lies. The customs department, the report said, is ill-quipped in terms of manpower and infrastructure to distinguish between the second-hand products and waste. The report also highlighted that although the producers are mandated to file whether they have met targets of e-waste collection annually, there was no independent mechanism to verify the claims of producers. E-waste Management Rules, 2016 mandate that every producer furnish the returns under Extended Producer Responsibility (EPR). The court gave these instructions while hearing a PIL filed by Arpit Bhargava and Gauri Grover on steps taken to control vector-borne diseases and on solid waste management in Delhi. The court, in one of its earlier hearings, had termed e-waste as a ‘critical area’ that has so far escaped attention of authorities and sought a report from CSE’s Director General on its disposal. The need for inventorisation of e-waste so that the challenge of management is better understood. Ensure that import of e-waste is better regulated, data on permissions and the status of recycling of imported waste. Ensure that ‘used’ material, which is imported without restrictions, is regulated and that information is provided through HS codes (usually used in import and exports) so that there is monitoring of this material – quantities and points of use and disposal. Ensure that there is stringent monitoring and enforcement of the provisions of the E-Waste Rules 2016 so that EPR targets are met and that there is independent information about where this collected waste is ‘recycled’. Ensure that there is monitoring of the health and environmental conditions of informal e-waste hubs in the country so that people who are employed in it get compensation for ill health. There is also need to ensure that producers of electronic material are held liable for this environmental toxicity. The need to improve and incentivise recycling through mandatory (not voluntary) deposit refund schemes by companies.